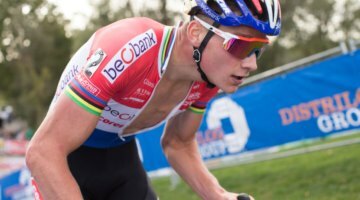 Watch highlights of the 2015 Elite Men’s World Championships race and the interview with Mathieu van der Poel after the finish. See full race results here. not a very long video. davemess10 Agreed. Isn’t it a shame all the long videos are geo-restricted? Even so, the 3 minutes women’s video I saw from yesterday at least had more of the actual race.